Our team has over 20 years’ experience in the technological advances of home and in-chair teeth whitening methods. People seek whiter and brighter teeth to improve the aesthetics of their smile, to look younger or often to look their best for a special occasion. It’s the least invasive way to improve your smile, making it an affordable and non-confronting option for many. 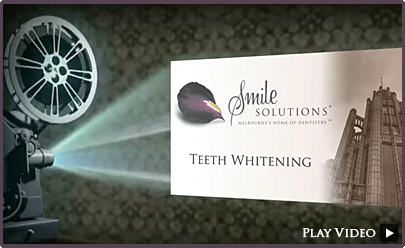 At Smile Solutions we see many patients who want a whiter smile. Teeth whitening is a quick and easy way to improve the look of your smile – it’s one of the most popular cosmetic dental treatments available. Teeth are composed of three layers: the white enamel (outer coating); dentin (the substance beneath the enamel), which is a yellowish colour; and the pulp (the living part of the tooth), which contains blood vessels and nerves. Teeth whitening involves breaking down the discolouration so that your teeth look whiter. Whether the process will work for you depends largely on the cause of your discolouration. There are two types of tooth discolouration: extrinsic and intrinsic. Extrinsic discolouration of teeth – that is, staining confined to the enamel – is most commonly caused by age, diet and poor oral hygiene. As we age, our tooth enamel can thin and start to reveal the yellow dentin beneath. In addition, diet and poor oral hygiene can cause our tooth enamel to stain, especially if our diet is high in sugars and acidic food and if we don’t maintain good oral hygiene. Teeth whitening treatment is most effective in removing this kind of staining. Intrinsic discolouration – that is, discolouration of the inner structure of the tooth – can be the result of trauma. This could include impact to the tooth when you were a child, such as a fall that damaged the developing permanent tooth; or trauma that involved internal bleeding, which discoloured the permanent tooth. Intrinsic staining usually requires additional dental treatment to achieve whitening. Given the different causes of discolouration, it is important to have your dentist thoroughly assess your dental health to determine whether teeth whitening will be an effective treatment for you. Here at Smile Solutions we have two teeth whitening treatment options available: at-home teeth whitening and in-chair teeth whitening. Our at-home kit contains close fitting custom-made teeth whitening trays and a user-friendly low-concentration whitening gel. Whitening gel is applied to the trays, which need to be worn consistently for an hour every day for a week or two to achieve the desired result. This is a simple system promising good results. You can comfortably whiten your teeth either while you sleep (by using our Pola Night system) or for an hour during the day (by using our Pola Day System). It offers you the convenience of being able to use it whenever you like for the 7 to 14–day period. We provide you with enough whitening gel for your initial treatment period and a number of maintenance applications. Under our supervision this technique is safe for your teeth and gums. We offer a one-hour in chair whitening procedure known as Zoom! This immediately improves the whiteness of your teeth, but some patients choose to maximise and maintain the results by following up with an at-home whitening system. The Zoom! process combines a patented whitening gel with the unique “Zoom” light. During the procedure your dentist will apply a rubber shield and liquid latex to protect your gums, and will then apply the whitening gel to your teeth in 15 minute intervals for a total of 60 minutes. A specialised blue light is used to activate the gel and speed up the whitening. Each whitening method has a different degree of effectiveness and permanency. Your dentist will advise you on the degree of whitening and the process that is best for your teeth and more likely to give you the results you are seeking. It’s also important to note that the results will not be the same for everyone, as everyone’s teeth are different. Some people might find they are able to achieve a whiteness that’s several shades brighter that their existing tooth colour, while others may only achieve one to two shades whiter. Before any whitening process, we recommend that patients have their teeth cleaned by a hygienist to remove any plaque build-up and ensure the best results. Also not everyone’s teeth are suitable for whitening. We recommend having a check up with your dentist in advance. This can be scheduled at the time of your teeth clean, so your dentist can assess for sensitivity, tooth decay, existing restorations, gum disease and any oral conditions that could hinder the effectiveness of the teeth whitening procedure. If you have veneers, crowns or fillings, they will not change colour with whitening, which means you can be left with different-coloured teeth. After any teeth whitening procedure, it is recommended that you avoid smoking, drinking coffee, tea, soft drink and red wine, eating highly coloured foods (such as berries or beetroot) and using mouthwash. These can all reverse the effectiveness of teeth whitening and further stain your teeth. These images are simply an educational guide and by no means represent a guarantee of outcome. Teeth whitening is generally safe when used in the correct way. One of the biggest risks associated with teeth whitening arises when it is applied incorrectly or by someone who is not properly qualified. Because a bleaching agent is involved, some of the side effects of teeth whitening can include damage to the gums, tooth sensitivity and irritation, and possibly bleeding in the oesophagus and stomach if the bleach is swallowed. Sensitivity from teeth whitening usually only lasts a day or two. Patients with receding gums, cracks in their teeth or failing restorations (which can result in leaking) are the most likely to experience sensitivity. Gum irritation can arise as a result of contact between the whitening agent and your gums. Teeth whitening can be performed by any of our general dentists at Smile Solutions. Visit our team page for more information on all our dentists. We have a teeth whitening centre open on Saturdays. This is when we designate a number of dental chairs solely for teeth whitening procedures performed by our general dentist. 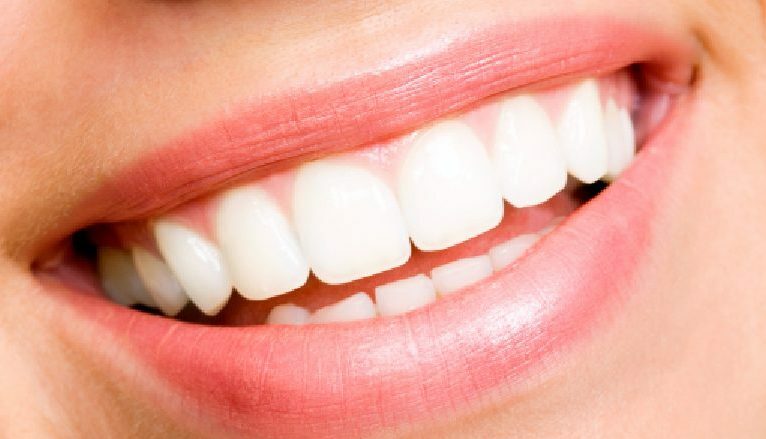 As teeth whitening centre hours vary from general practice hours please call our team on 13 13 96 for more information. With over 20 years’ experience in teeth whitening at Smile Solutions, we are the experts in helping our patients achieve a whiter and brighter smile. 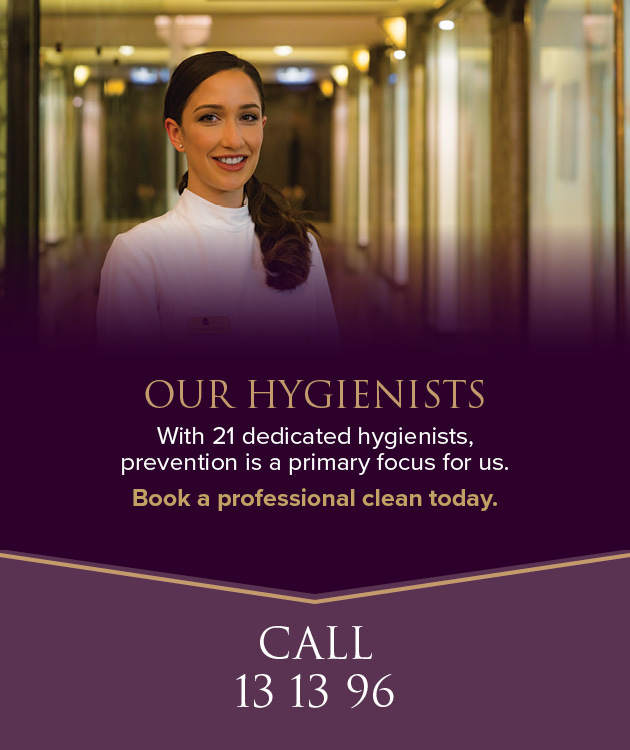 With a large team of general dentists, hygienists and specialists, we can take care of all of your dental needs, while having an extensive practice also means we can afford the latest and best technology. Our team keeps up to date with advances in in-home and in-chair whitening methods, ensuring our patients always receive optimum treatment. Our central location makes us the Melbourne dentist of choice when it comes to convenience. And with so many dentists available, you will find it easy to book an appointment when you want one. *Teeth Whitening Centre Hours vary from General Practice Hours. 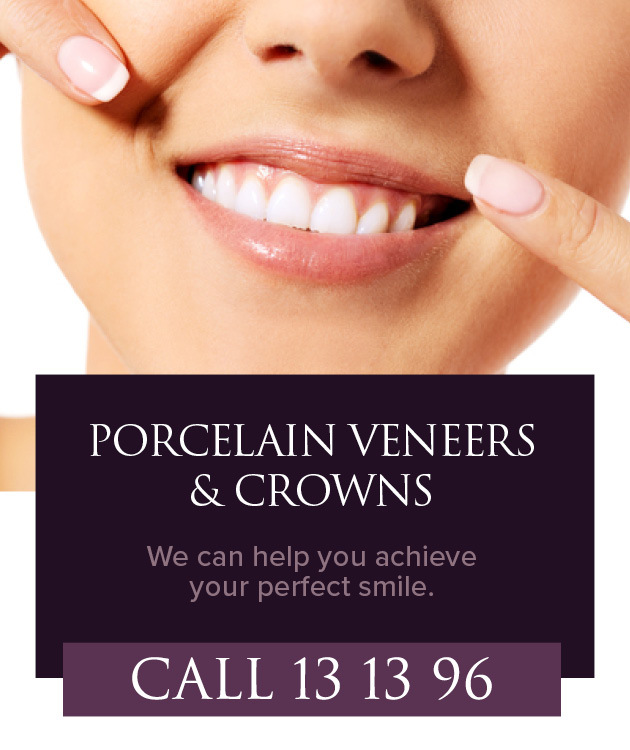 Please call our team on 13 13 96 for more information on our $375 teeth whitening special.